In loving memory of Elaine W. Farrar, who passed away at the age of 92 in Gilbert, AZ. She was a daughter, mother, grandmother, teacher, painter, sculptor, artist, author, and friend. Elaine was raised in Southern California where she attended Glendale High School, then the University of Berkely and Stanford University. 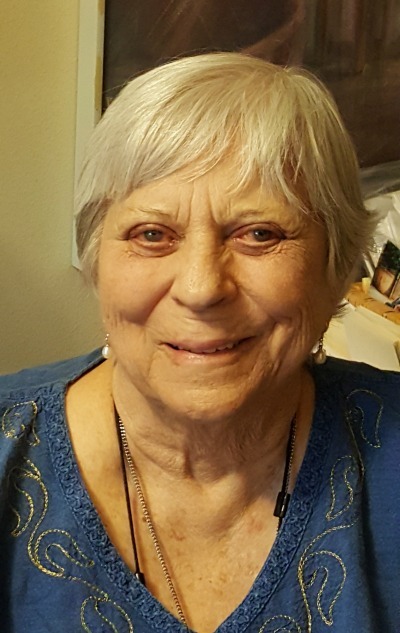 She moved to Scottsdale, AZ in 1957 with 5 children and where she later received her Bachelor’s, Master’s, and Doctoral degrees from Arizona State University. In 1968, she and her children moved to Prescott where she was a member of the founding faculty at Yavapai College and retired many years later having been a beloved instructor, Art Department Chair, and an avid supporter of the Yavapai Art Club as well as Prescott Fine Arts. After retirement she continued on as Graduate Mentor at Prescott College for several years. She inspired so many through her teaching, her artwork, her strengths and even her difficulties and challenges in life. Elaine is preceded in death by her son, Stephen G and her daughter, Jan Leslie. Her surviving family members include her sons Mark E., Gregory R. and Montgomery K. (Denise) and daughter Susan D. (Eric) and 9 grandchildren, 20 great grandchildren and numerous friends and loved ones.